Whoo! 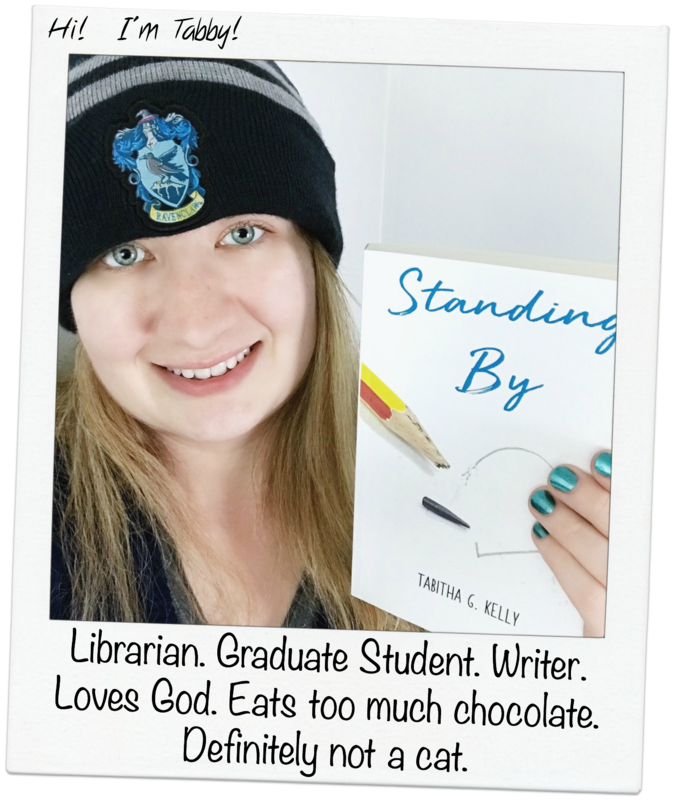 Ten straight weeks participating in Blogger Love! I don’t know about you all, but I’m real happy about this. I love putting up these posts every Friday not only because it keeps at least one consistent post on my blog, but also because I get to share the great posts I read throughout the week. 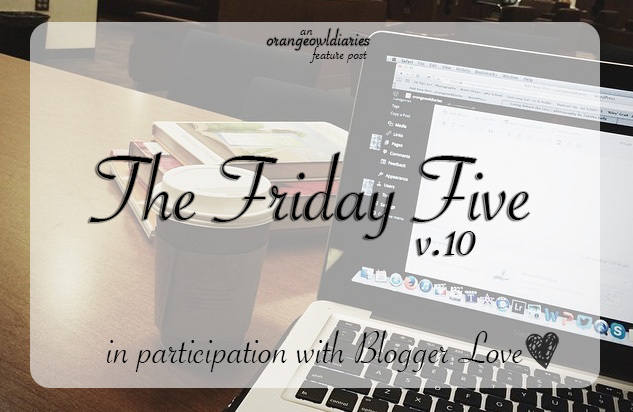 So before I start to ramble, here’s this week’s Friday Five! Should I Attend a Local University? by Kara of Coffee With Kara. As someone who attends a local university, as a commuter student, it’s interesting to see the perspective of a resident student who actually is from the town their university is located. 10 Awesome Things About Being a Blogger by Tabitha of a hundred tiny wishes. 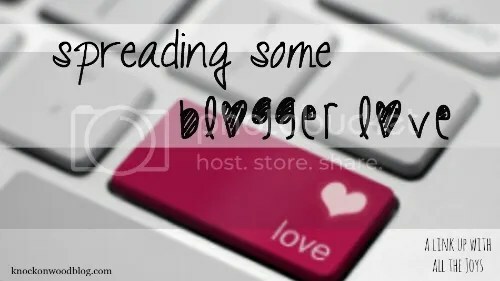 There’s plenty of things to love about being a blogger. My personal top two are being able to express myself and communicating with fellow bloggers and readers. Write What You Want by Lindsay of Bourbon, Lipstick and Stilettos. I mentioned this in my last post, but I feel it’s worth sharing again because it’s really a good topic for bloggers to think bout and discuss. An Interested Amateur’s Guide to Coffee by Cat of Oddly Lovely. Mmm, coffee. Who doesn’t appreciate a good post about coffee? Bloggers Coast to Coast by Shane of Sea Salt Secrets. I think this is an awesome way to getting to know what other bloggers are in your area and possibly meet up with them! And for the record, I’m on her ‘coast to coast’ map now. thank you! I really enjoyed these posts a lot. Thank you for sharing again! Lots of great posts to check out this week. Have a great weekend! Whoo hoo, 10 weeks! Happy to have you :) I also loved Tabitha and Lindsay’s posts this week. Hope you are having a great day! It’s not bad, but it’d be better if I wasn’t sick. Hope your day is good as well!